Kilauea School Track Team Stars! 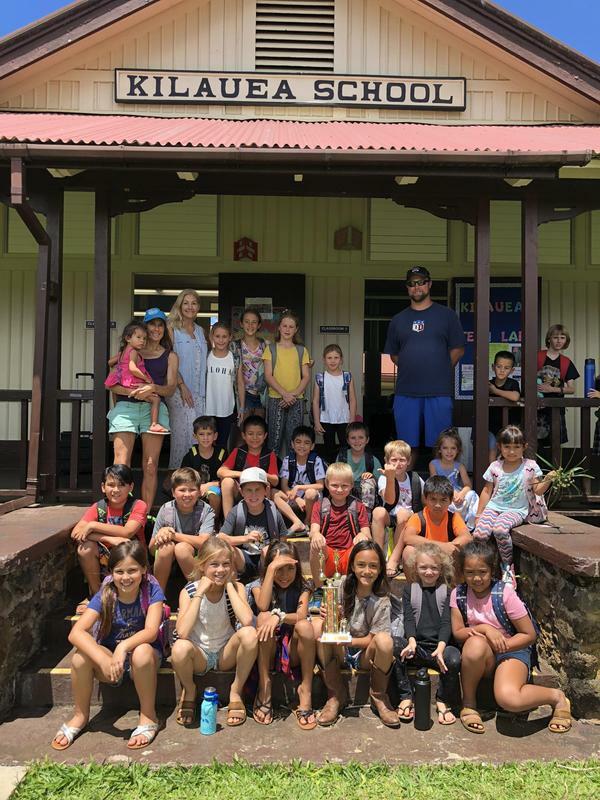 The Kilauea School Track Team came home with a team trophy April 7, 2019. The children participated in multiple races and competed with students form schools, Island wide. Kilauea School Students were the 3rd place school team on Kauai! Congratulations! The Kauai Fire Dept. Fire Prevention Program is in progress on our campus for 2 days! Each class is learning safety measures from the KFD Sparky Team! Students have learned evacuation techniques, stop, drop and roll, how to go to safe meeting place and proper exit by ladder techniques! 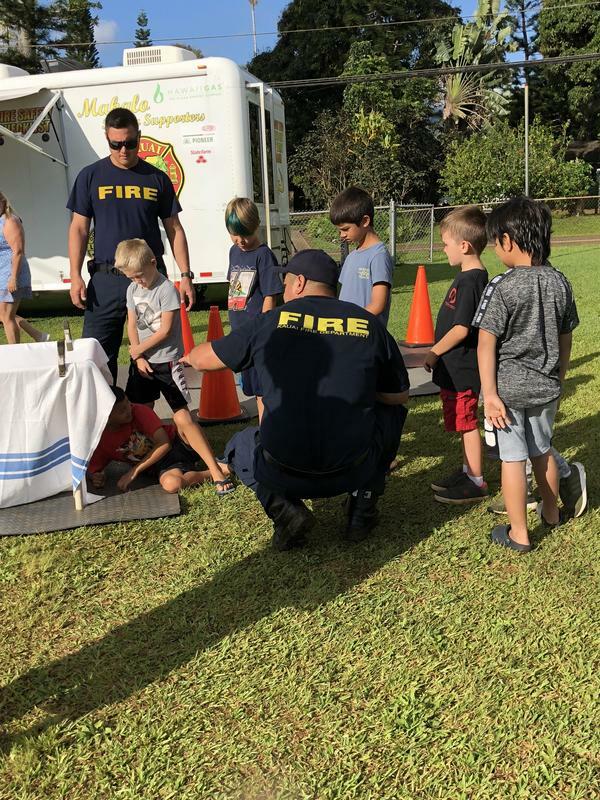 MAHALO KFD! 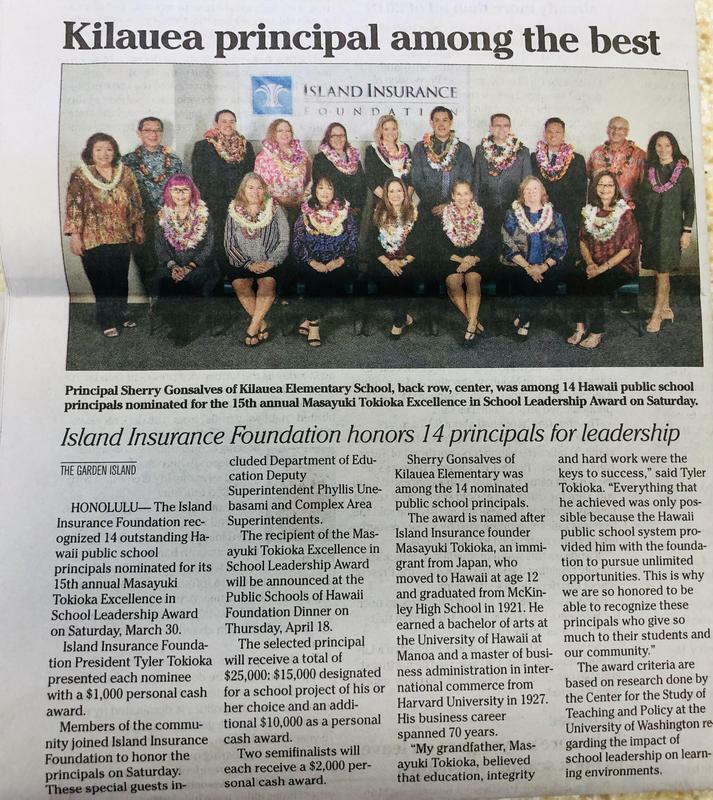 Kilauea Principal Among the Best! The Island Insurance Foundation recognized 14 outstanding Hawaii Public School principals nominated for its 15th annual Masayuki Tokioka Excellence in School Leadership Award on Saturday March 30, 2019. Congratulations to Principal Sherry Gonsalves for her recognition and best of luck! Kilauea Drama Club presents "Madagascar Jr."! An outstanding performance was given by the Kilauea School Drama Club this past week-end! Under the direction from Farrah Krovoza, Katie Lathrop and Jeremy Brown the students took us on a musical journey from the New York City Zoo to Madagascar! BRAVO! Congratulations to our Kilauea School 4th Grade Class for their stellar performance in this years Makahiki Games with Hanalei School. They won all but one of the games in the competition! Location: Grades 3rd through 6th classrooms and computer lab.